0 Comments Published by Cedric Benetti on Tuesday, July 13, 2010 at 7/13/2010 01:52:00 PM. 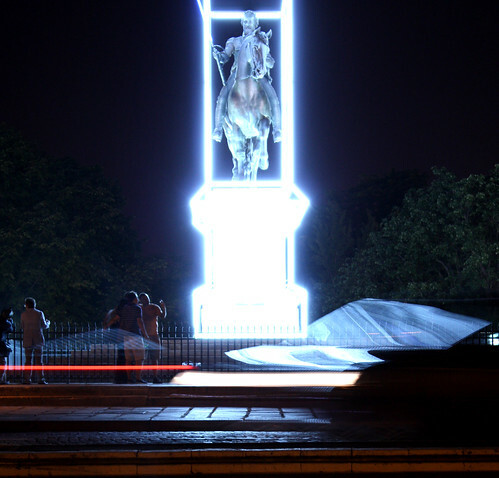 The French fashion designer and enfant terrible Jean-Charles de Castelbajac was asked by the ministry of culture to turn the majestic statue of King Henri IV on the Pont Neuf into an art installation for the King's 400th anniversary of his deathday. 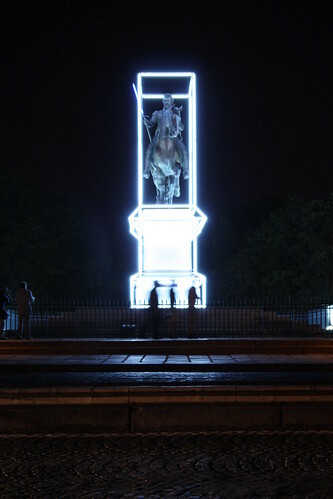 Castelbajac turned the king into a fashionable Jedi knight, truning his rusty blade into a lightsaber, and putting the entire pedestal into a starcage of neonlights. 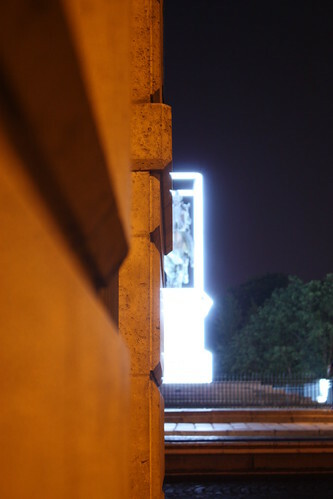 Local hipsters refer to the light show as 'H4P9' ('Henri 4 Pont 9'), but many of the neon tubes already got broken. 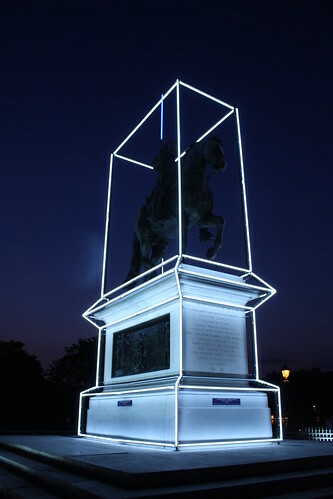 The installation will last till tomorrow, 14th July 2010. So hurry up if you want to get a glimpse at what Star Wars could have been like in the 16th century.